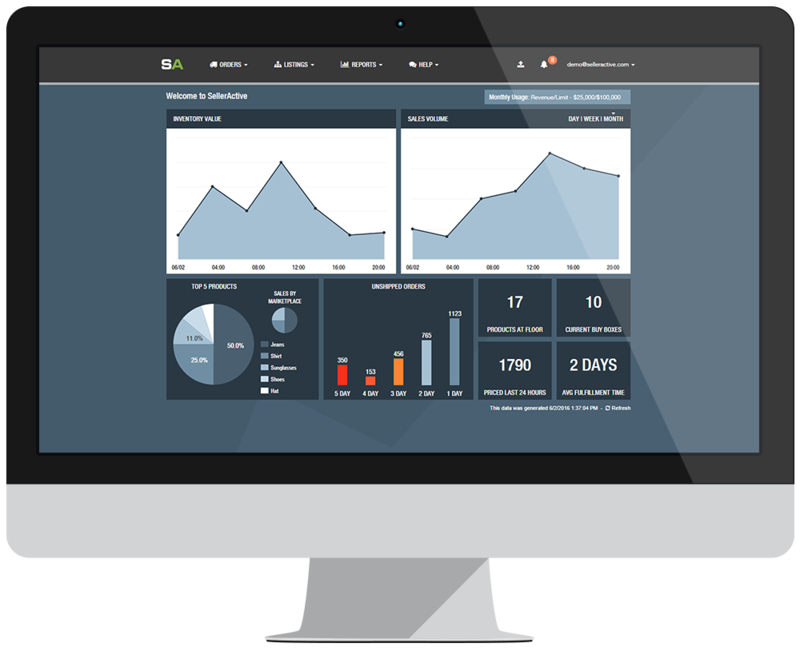 SellerActive’s automated e-commerce platform provides the digital tools and support you need to grow your business faster and easier, across channels. 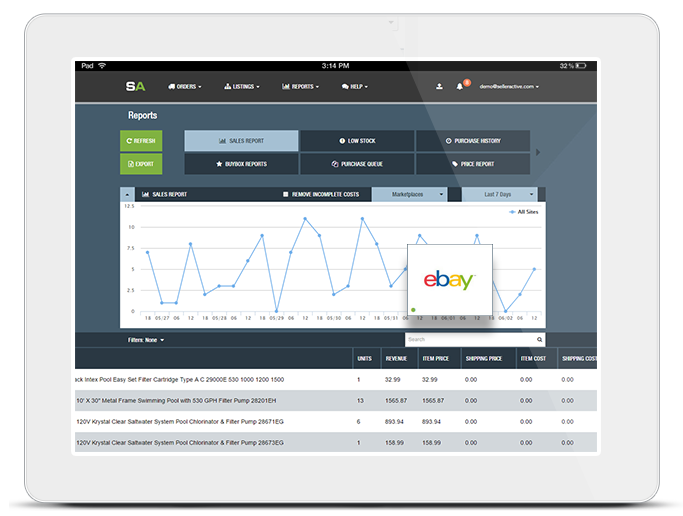 Your online inventory, orders, listings and pricing all consolidated into a single powerful platform. We’ll never stake a claim on a percentage of your sales. After your initial investment, everything is included, from software to support. Get live, knowledgeable training and support from our dedicated customer success team. The Buy Box doesn’t have to be a black box. Our algorithmic and rule-based repricing methods tap directly into Amazon, Walmart, and other e-commerce channel’s APIs, delivering you the fastest, most accurate results. We’ll help you target your true competitors and capitalize on every opportunity to win customers. Your shoppers are active on multiple channels. So are we. 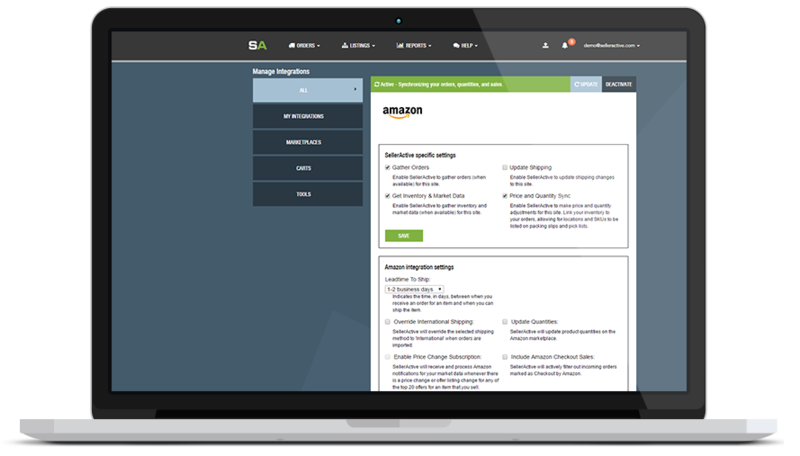 With SellerActive, you can keep your listings updated and synchronized, from Amazon to eBay to Walmart to Jet—and virtually anywhere else you sell online. Our platform gives you everything you need to sell more products, avoid mistakes, keep customers satisfied, and get more sleep at night. Manage the entire sales process in just a few clicks. In addition to our automated listing and repricing capabilities, we offer basic order fulfillment functionality. 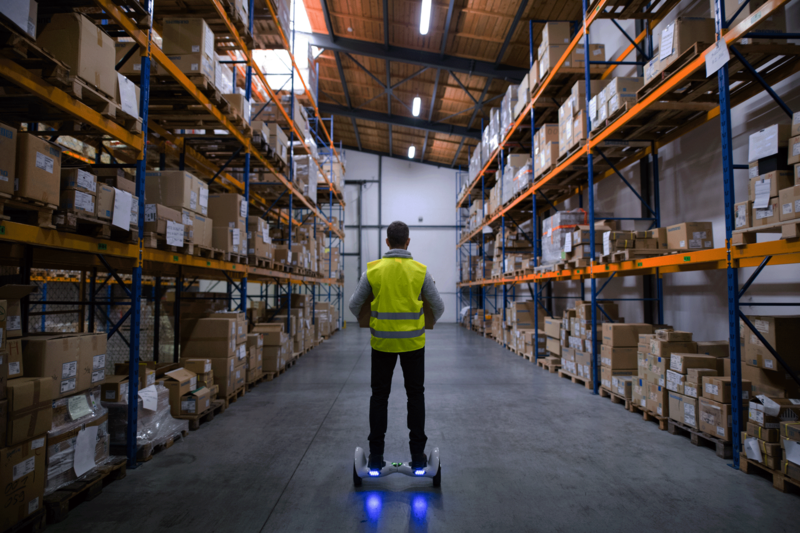 For sellers who need a more advanced set of tools, our integrated shipping software partners provide options such as shipment bundling, label printing, carrier rate shopping, and much more. Amazon sellers experience double-digit growth in their first 60 days of using SellerActive. We’ll work with you to develop your unique repricing strategy and capture the Buy Box more often. 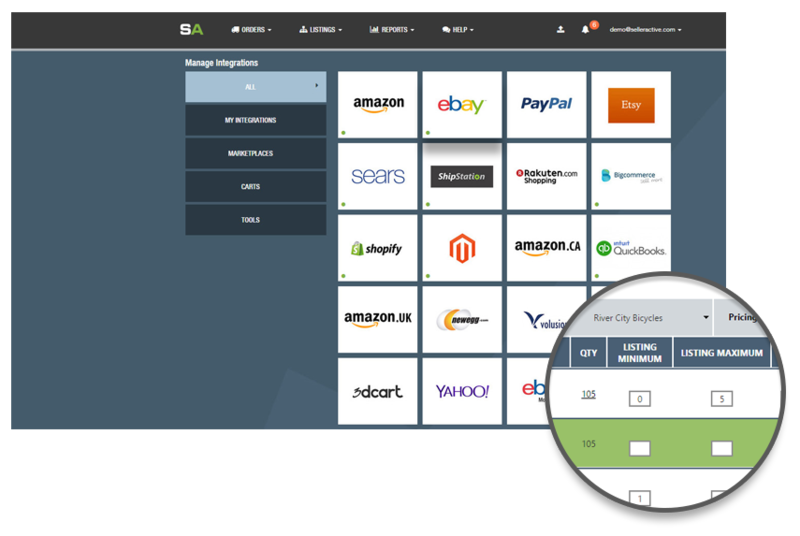 Plus, our robust FBA integration allows you take full command of your inventory online, so you can maximize the quality of your listings, update details, and get in front of millions of customers faster and easier. Why do so many of the fastest-growing multichannel retailers choose SellerActive to power their e-commerce businesses? Because our founders are successful e-commerce sellers themselves. We’re dedicated to using our experience and knowledge of the industry to increase our customers’ sales.